Authorities in Virginia are searching for a baby sitter who they say was caught sleeping in an apartment while two young children in her care were outside. Officers responded to reports of an unattended child Saturday. Authorities say officers saw a 2-year-old boy playing in the parking lot area. Prince William County police spokesman Nathan Probus said the boy led police to his 11-month-old sister, who was crawling outside the apartment. 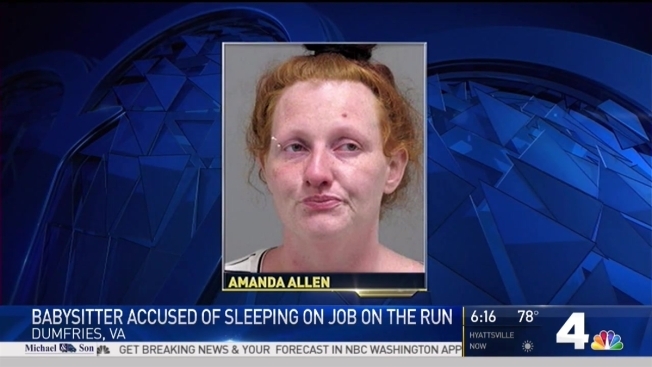 Police woke up Amanda Sue Allen and asked her questions. Authorities say she gave them a false name and left the home through a window while police were investigating. Allen, 31, is wanted for violating parole. She is charged with two counts of felony child neglect and giving a false name to police.